Notes: It was sunny today, so we headed to the canal at Cuton Lock so I could make my monthly shot of the navigation’s twelve locks. 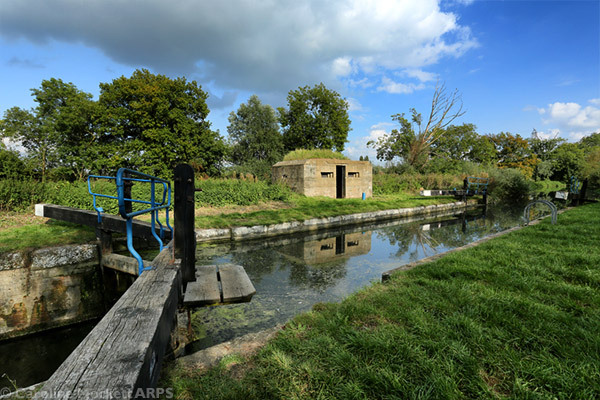 Cuton is notable for its bonus WWII Pillbox on the eastern bank. Perfect for Treasure Hunt Theme #09 – Once A Month – September. Notes: About 10 days ago, my laptop’s hard drive died. I had all my data backed up, so nothing was lost. But I have only just been able to replace the drive and Alistair is now helping me to get it going again. It’s a long and frustrating process! 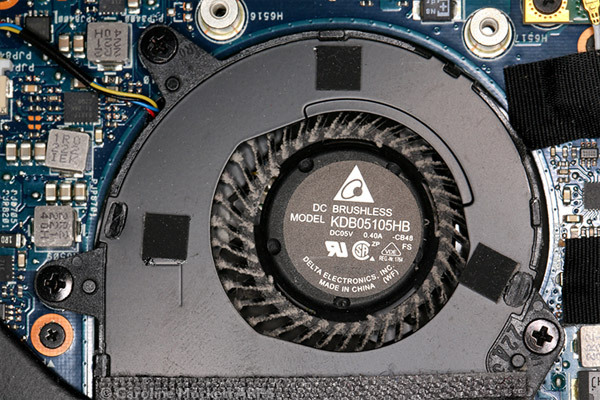 Here are the machine’s innards, after fitting the new drive. 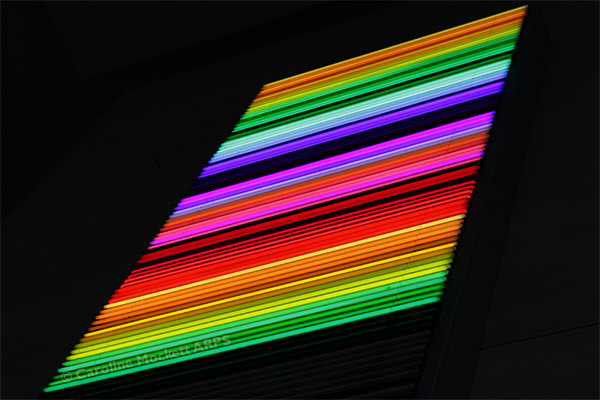 Notes: Some electric art at Microsoft’s London HQ, seen during BarCamp London X today. 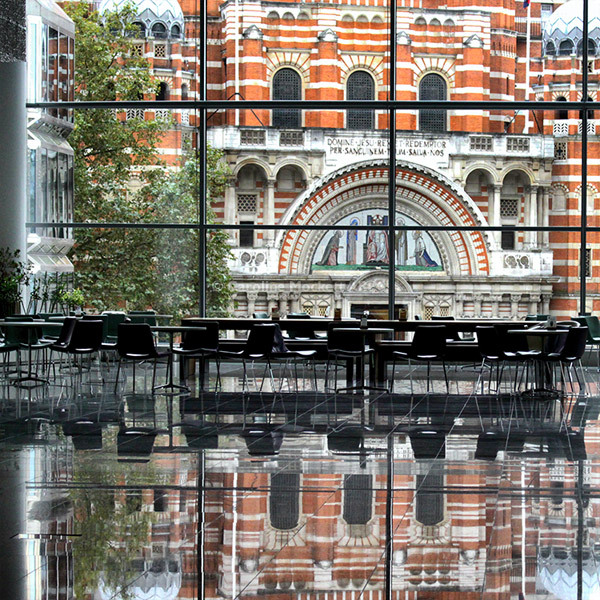 Notes: The atrium of Microsoft’s London HQ overlooks the imposing structure of Westminster Cathedral opposite. It was the venue for BarCamp London X this weekend. With the addition of some shiny flooring, it makes for a great shot of the building through the big picture window – perfect for Treasure Hunt Theme #20 – Frames Within Frames. Notes: We spent a lovely afternoon at the seaside, photographing the pier at Saltburn-by-the-Sea on the way home from Newcastle to Essex. 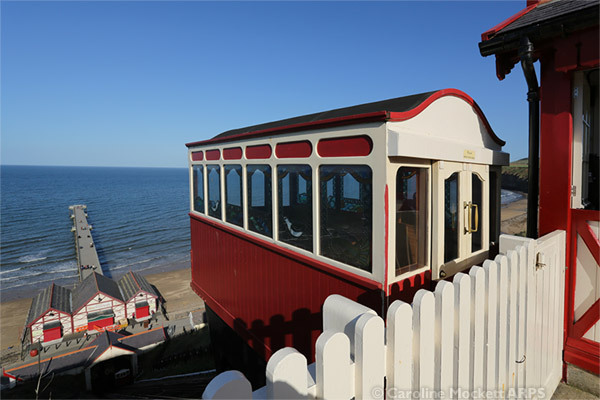 The Victorian Cliff Lift, a magnificent little funicular railway, takes you from the top of the cliffs down to the promenade and the pier below. Notes: Having been cooped up in the car for several hours driving between Glasgow and Newcastle, once arriving at Alistair’s, we decided to go out for a geocaching walk from North Shields to Tynemouth. 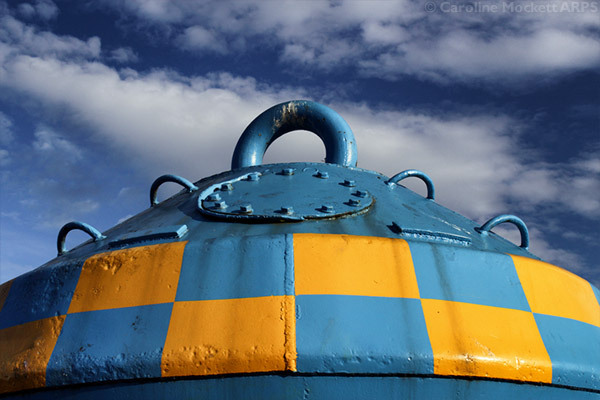 This buoy was a colourful addition to the scenery along the way. 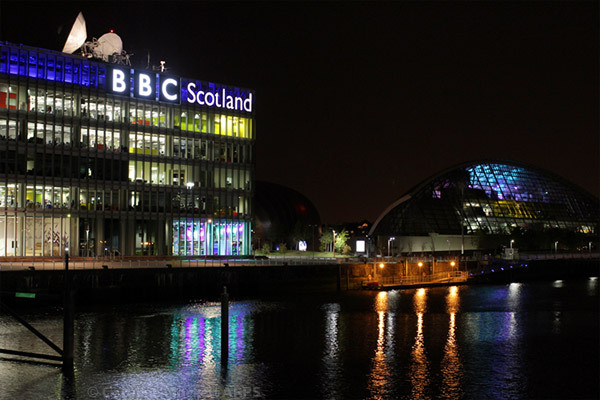 Notes: A last look at the BBC Scotland building this evening, on the way back from a farewell dinner at a nearby restaurant.